On August 16th 2010, yours truly went to Square Enix HQ in Wimbledon, like the good little intrepid reporter I am. The objective was to meet Nathan Davis of Obsidian Entertainment, the makers of such games as Alpha Protocol, Fallout: New Vegas and Knights of the Old Republic 2. Nathan was showing their upcoming RPG release, Dungeon Siege 3, currently scheduled for a 2011 release, to myself and Gary of TheKoalition. The game is significant in that it is the first 'western-style' RPG being published by Square Enix, but according to Nathan "Square has a lot of trust in the developer: they give input, good input which makes the game better, but one of the reasons it's been good is that they feel that a lot of the creativity should lie with the developer of the product". "We've made sure that he's involved. As we're setting milestone builds, he gets a chance to take a look at it and gives us feedback; we've found what he's had to say to be quite valuable." It's worth noting, incidentally, that the build that we saw was a PC build specifically designed to be able to show off the full level. Thus, character abilities were vastly upgraded and damage was minimalised to characters as well. On the plus side, the build also tweaked the distance that enemies travelled when hit hard enough, so we got to see plenty of enemies being flung halfway across the map in the far distance behind the character. Awesome. Basic gameplay was mapped to a controller for the purposes of the demo, with movement mapped sensibly to the analogue stick. 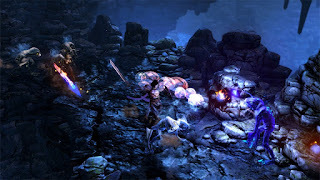 The game allows players to shake up their combat style in order to better suit the type and number of enemies, using different combat stances. If you need an example, think of the lightsaber styles in Jedi Knight 2: Jedi Outcast, where players could vary between offensive and defensive stances which came with plus and minus points. 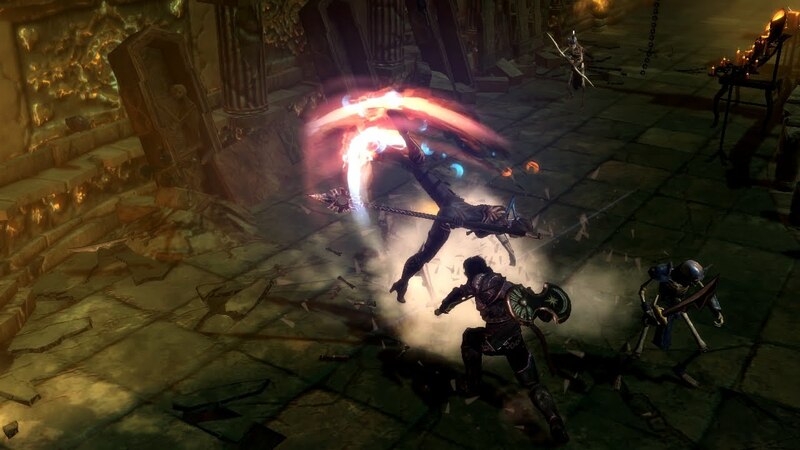 Similarly in this game, players can choose a one-handed weapon stance, which allows use of a shield and comes with a shorter attack radius, or a two handed stance allowing players to attack multiple enemies at once at the cost of a defensive position. It's a nicely executed gameplay mechanic which allows gameplay to be both fresh and fast-paced. From seeing the game, the impetus is definitely on the gameplay experience being paramount, as well as the story. The game plays a little like a cross between Fable II and Diablo 2, although the viewpoints in the game share more in common with the former for the most part. The game even utilises a similar system to Lionhead's epic in that the player can choose to turn on a 'breadcrumb trail' that directs the player in the right direction. This looks particularly useful during the town-based sections, as in traditional RPG fashion the game allows you liberal use of a base town before venturing forth into the dungeon. 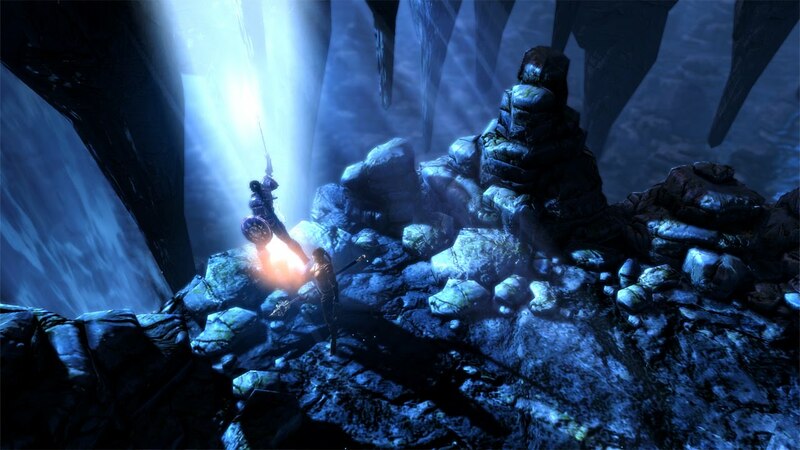 About five minutes into the demo, the story placed a female character into the game, and the two-player elements were visible for the first time. Co-op play allows players to drop in and out of gameplay at any time, allowing for the kind of piss breaks where you can just relax and enjoy the relief. Of course, an AI assistant is never any match for having real people in your team, and we can confirm that the game does support 4 player co-operative play. 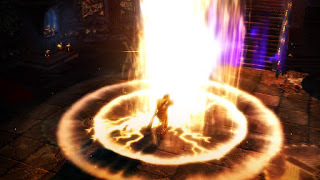 Of course, the main appeal of this sort of game for many players of Diablo and any MMORPG is the appeal of kitting out your character in the best swag available, and Dungeon Siege 3 is no slouch when it comes to allowing players to do this, including a camera angle Nathan jokingly referred to as the 'vanity cam' for when you want to just look at yourself from a distance. As someone who thinks that this feature should be a part of real life, it's a welcome addition to the game. The game looks superb in motion, and the gameplay looks sufficiently fast-paced and action-packed to interest fans of Diablo 2 and games of that genre. Obsidian are developing the game using their own proprietary Onyx engine, which allows for dynamic lighting from different sources in the game, as well as allowing players to go through the level without loading screens. The main thing that seems to be a possible issue is simply how the developers will keep the game fresh, as the style is fairly well-trodden with Diablo, Blizzard's online offerings with WOW and Fable. Looking at the game in motion, though, it certainly seems like Obsidian are well on their way to making another solid entry in their already extensive RPG repertoire. As an added bonus, we actually got to pose questions to Nathan about Dungeon Siege 3. Here are his responses to the key questions we asked. Enjoy! TheKoalition: So that was the PC version, and it looked great. With Dragon Age, although the PC version looked great, but on the consoles it suffered a bit and that seemed to discourage people from playing it. 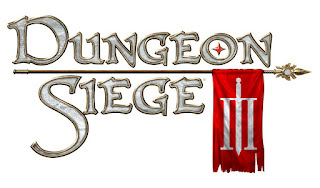 With Dungeon Siege 3, will it suffer a lot, or will it look as good as the PC version? Nathan: When you write something on a PC, you can take advantage of the optimised graphics cards; there's something to be said for that. Also, we've been working with certain other manufacturers to make sure that we can support different play modes that are specific to PC. That's as far as I can go on that, but that's something that PC players do get more out of. There is very little discrepancy between how this looks on an Xbox compared to a PS3 and a PC. We're running it on a PC right now so that we can show it off in the best quality. We develop on all three simultaneously, and from what I can understand from Dragon Age, it was developed a little differently. 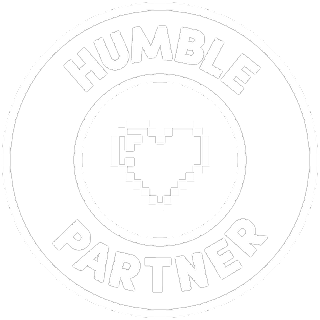 We get asked a lot what our lead platform is, and we make sure that developers test all our stuff on PS3, in order to make use of the benefits and limitations to make a game that works on all three. We try and keep our baseline to hit the lowest common denominator on everything, and then we see what we can do to get a little more out of each version. E14: Bearing in mind that Obsidian has worked within other universes, such as Fallout and Star Wars, as well as working within your own universes, is there one that's more fun to work within than the other? Nathan: For example, when we did Alpha Protocol, which was a universe that we developed, there are benefits and challenges that come with that. In a Star Wars game, there are a lot of things that people expect from that, which are very clearly defined. Some might say there are limitations there, whereas with Alpha Protocol it was a situation where we had to do a lot of work to define what it was, but there was more freedom there. With Dungeon Siege 3, there's an established world, and there are things that we understand about it how it works. With that, we get the best of both worlds. There's a lot that's open about this game world, and there's a lot that we can make our own. Being able to bring that kind of thing into our game has been great, and maybe that's not unique to this game but it's certainly a situation where we get the best of both worlds. TheKoalition: As far as the story goes, does it carry anything from the first two games? 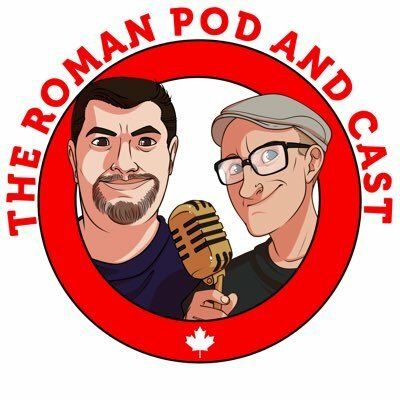 Nathan: We used that as the backdrop for the game, as the first two games kind of had their own unique storylines, and even their RPG systems were pretty distinct from each other, which is a tradition we're trying to keep to. We saw in the demo that particular statue that they mentioned, and in the game you'll actually be able to visit the memorial associated with that statue and explore. 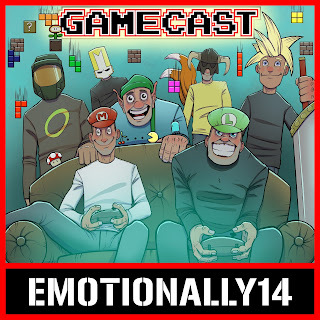 E14: In order to develop games with real passion, presumably you guys are gamers. 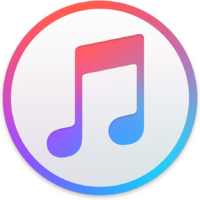 What are you currently playing that stands out for you? Nathan: Because we're fans of the style of games that we make, when another team is working on something like Fallout: New Vegas, those not so closely associated with the game are asked to come in and play through it to test it out and make sure it's working ok, and that's actually what I've been playing recently - I've been playing Fallout: New Vegas. I know their PR guys are pretty strict on it, so I can only say that it's what I've been playing, and it's nice to be able to be in that position! 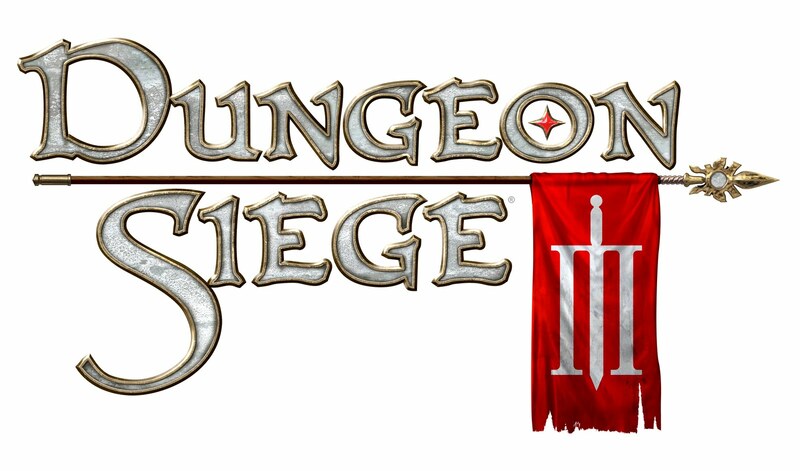 Dungeon Siege 3 is scheduled for a 2011 release on Xbox 360, Playstation 3 and PC. 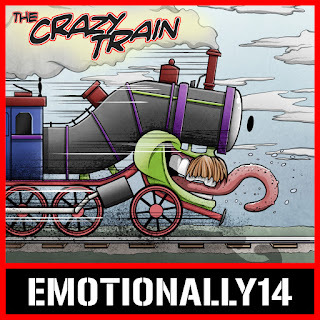 Keep it tuned to E14 for more news on the game as it becomes available, and check out TheKoalition as well! If love transcends all boundaries, paranormal romance is its natural conclusion. This title features over twenty tales from some of the hottest names in romantic fiction to transport you to fantastical worlds in which mythical beasts, magical creatures of all shapes and sizes, heart-stoppingly handsome ghosts, angels and mortals with extra-sensory powers live out extraordinary desires. It includes stories from Lara Adrian, Ava Gray, Sharon Shinn, Robin D. Owens, Karen Chance and many more. Thanks to our friends at Robinson Publishing, we've got five copies of The Mammoth Book of Paranormal Romance 2 to give away! For your chance of winning, send us an e-mail to paranormalromancegiveaway@yahoo.co.uk with your name and postal address before midday on Monday 30th August (UK time). The first five names drawn out of the electronic hat will win a free copy!